You've got to love a band that feels strongly about their craft/s ("We like to rock and most certainly love to roll") and holds their fans close to their collective heart ("We are your dudes and you are ours"). 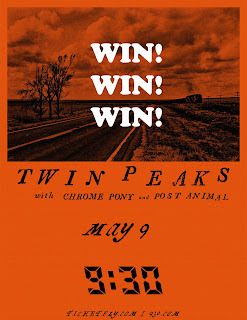 Such is the sentiment of Chicago dudes Twin Peaks, coming to town on May 9th to share their loud and lovable raspy, well-traveled vintage rock noise. If you'd like to win a pair of tickets to see these rad dudes take over the 9:30 Club, and let's be honest, why wouldn't you, simply send your girl an email saying why you'd like to go to the show. That's all you need do. 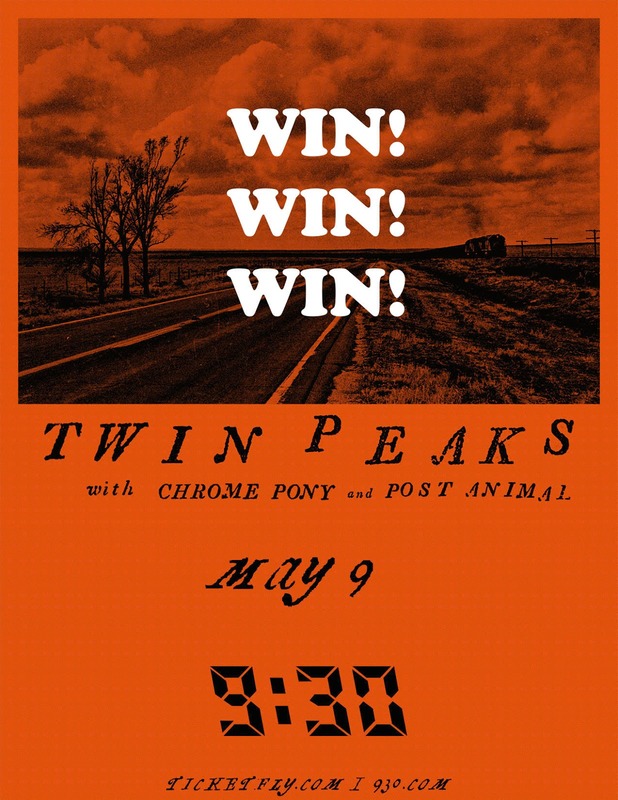 Fine print: Contest is for two (2) tickets to this show. Contest closes at noon Eastern on Sunday, 5/7/17. Good luck, dudes and dudettes.